Eating the right foods can improve your memory, lift your mood and help you concentrate for longer hours. Everything you eat affects how your brain performs. Food consumed is broken down into energy that’s distributed throughout the body, and the brain receives a large portion of it. “Your brain weighs just 3lb or so; that’s 2 per cent of overall body weight, but it requires 15-20 per cent of energy from your daily calorie intake,” says Niti Desai, a Mumbai-based nutritionist. With the right foods, you can ensure your brain works efficiently throughout the day. When the brain is not stressed out, it can work without getting fatigued. Here’s a look at how food and nutrition can give you a mental boost. The brain gets energy from glucose in carbohydrates. “Eat carbohydrate-rich foods such as whole grain, cereal, bread and pasta to keep the brain functioning optimally,” recommends Dr. Anju Prasad Vardaan, dietician and nutritionist, based in Mumbai. When you work hard at something and the brain functions optimally, it uses up nutrients faster. Apart from complex carbs, if you eat fresh and dried fruits, vegetables, whole grain, legumes, pulses and nuts, then they treat your brain well. Stay away from junk food which is addictive. Fatty and sugary snacks trigger the same pleasure centres in the brain as drugs do, which explains why many people can’t stop themselves from bingeing on them. It could also lead to an obesity epidemic. “You think a sugary treat is giving you an energy boost, but it does not last and can leave you feeling more tired, drowsy and irritable than before,” says Niti. Children should avoid fried snacks while studying as they are difficult to digest under stress. 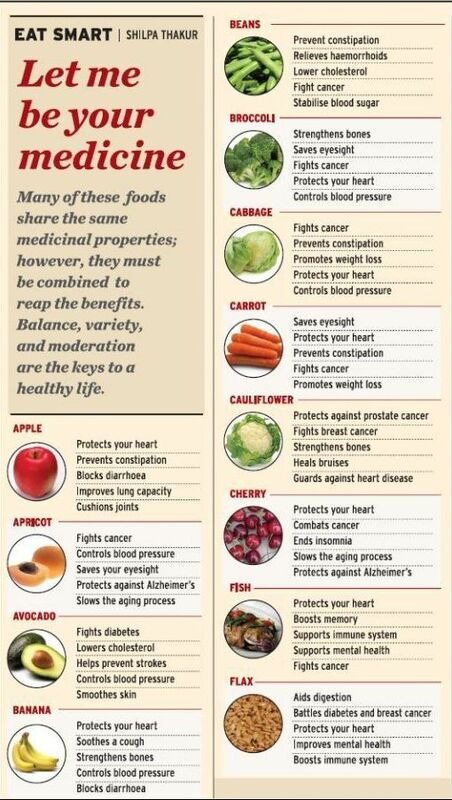 Some of the foods your brain benefits from are bananas, dates, currants, figs, olives, grapes, lettuce, parsley, garlic, avocado, carrots, cucumber, tomatoes, plums, asparagus, radish, broccoli, lemon and sprouts. Many of these make great snacks that you may reach for instead of cookies and chips. “There is no denying that as we age chronologically, our body ages too. But you can increase your chances of maintaining a healthy brain in your old age by making brain-friendly foods part of your daily diet,” suggests Anju. “Omega 3 rich foods such as fatty fish could boost mental capacity and memory,” says Niti. It’s not just what you eat that makes a difference. How and when you eat it also matters. If you are used to eating three meals everyday, perhaps you could think of breaking those down into five or six smaller meals. A heavy meal can make you sluggish and your brain cells would find concentrating on a task difficult. Eating something nutritious and non-fattening every three hours will ensure that the brain gets food consistently and your energy level is stable. Keep some healthy snacks ready such as sprouts/fruit salad, veggie sticks with a curd dip, baked potatoes, dried fruits and whole grain cereal bars. Breakfast is the most important meal of the day. Consume a mix of carbohydrates so that energy will be released at different rates. Cereal, milk, toast, porridge, fruits and eggs are all good breakfast options. “Eating breakfast helps children concentrate and recall facts. Kids who skip breakfast don’t perform well in studies,” says Niti. Serve a nutritious, not-too-heavy, non-fattening lunch. Large and high-fat meals can make you feel tired and lethargic. Include plenty of carbs, rice, veggies, and multi-grain rotis in your dinner. Drinking warm milk before bed time is relaxing and helps ensure a good night’s sleep. “Take a food break rather than eat with a book in hand or while working at your desk because that’s likely to lead to mindless eating in inappropriate quantity,” says Anju. Don’t forget to drink enough water. It is essential to keep the brain and body working. It hydrates, reduces stress and keeps one healthy. Not drinking enough water can lead to headache. Herbal tea and green tea are good substitutes for caffeine as it relaxes the brain and induces mental alertness. Caffeine is a stimulant and too much of it can induce a feeling of edginess and nervousness. 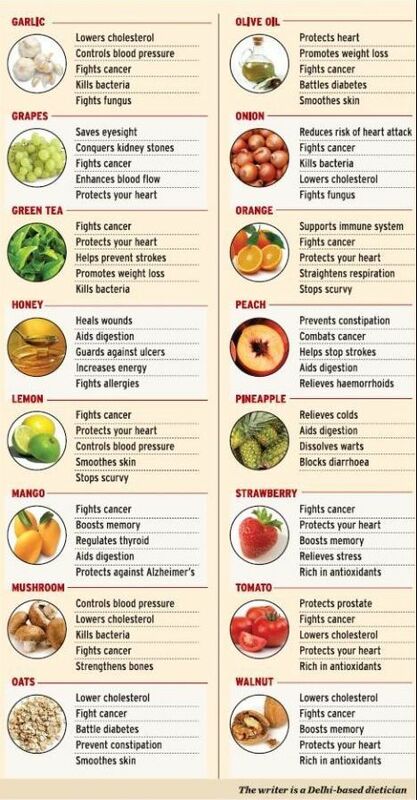 Juices too make great brain food just like fruits and vegetables, besides the hydration benefit. We don’t hesitate to put our skin health at risk by exploring different commercial skin products. Egg-based face packs need to be prepared differently to suit different skin conditions. For Normal Skin: Take two spoonfuls of rosewater and one spoonful of honey and add them to two egg yolks. You may preserve this mixture for repeated use. It gives good results if used once weekly. This benefits the skin mostly in the winter months by keeping it soft and supple. For Wrinkles: This remedy will require you to include egg white, oat powder (3 teaspoon) and honey (1 teaspoon). Mix them well and apply the mixture on your face. For Dry Skin: Prepare a mixture with one egg yolk, orange juice (2 teaspoon), 2 to 3 drops of sweet almond oil and lemon juice (half spoon). Apply the mixture on your face and allow it to stay there for 30 minutes. Wash off. You need to use it daily. Orange-Yogurt Mask: Full cream yogurt (3 tablespoon) need to be mixed with the same quantity of orange juice. The lactic acid in yogurt acts as a peeling and a whitening agent. Orange juice performs the role of a skin toner and it tightens pores. Apple Honey Combo: Cut an apple into half and form a puree. Empty the contents of a Vitamin E capsule in this puree. Next, add 2 teaspoon of honey. Blend it well and keep it on your face for 10 to 15 minutes. Carrot-Honey Scrub: Form a carrot paste by blending a peeled-off carrot of medium size in a mixer. Add 2 teaspoon honey to it. Add 1 teaspoon of rough semolina to it. If you wish, you can also add one drop of lavender essential oil. Apply the mixture instantly. Allow 15 minutes to pass. Then begin to scrub with circular movements. It will not only exfoliate your skin, but will also serve as a conditioner. Sandalwood paste will remain as the most popular face mask for the coming generations. Half a teaspoonful of brown paste is enough for treating the facial skin. Add gram flour (besan) or Fuller’s Earth to this paste. Next, add a few milk drops to it. You’ll see results if you apply this pack for twice weekly. You may observe different results in different seasons. In winter, your skin may become dry and for that, you may need to add some cream milk or olive oil to bestow moisturizing quality to your usual sandalwood face pack. Similarly, you can control excessive oiliness in summer by adding some lemon juice to this paste. It’s your face, which is definitely not an object of experimentation. Try out these tested home remedies and you’ll learn to pamper your skin. These are the wisdom inherited from our ancestors. And these will continue to benefit our future generations as well. 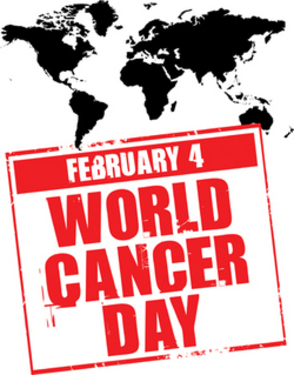 Worldwide, the 5 most common types of cancer that kill women are : breast, lung, stomach, colorectal and cervical. In many developing countries, cervical cancer is the most common cancer. This is one day to remember Dr.V. Shanta who is a prominent Cancer specialist and the Chairperson of Adyar Cancer Institute, Chennai. She has spent 50 years organising care for cancer patients. One World, One Home, One Heart is the Theme for this year World Heart Day, on September 29th. We are used to depicting heart for love.Love means heart with an arrow.How much extra care we need to take for such a lovable organ !!!!! Shouldn’t we ????? 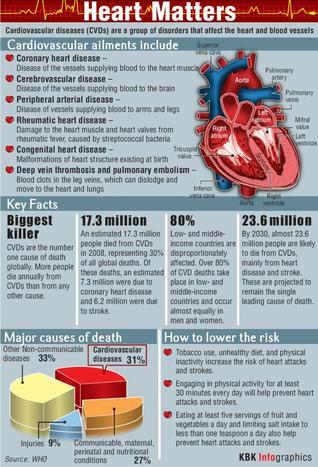 The good news, however, is that 80% of premature heart attacks and strokes are preventable. 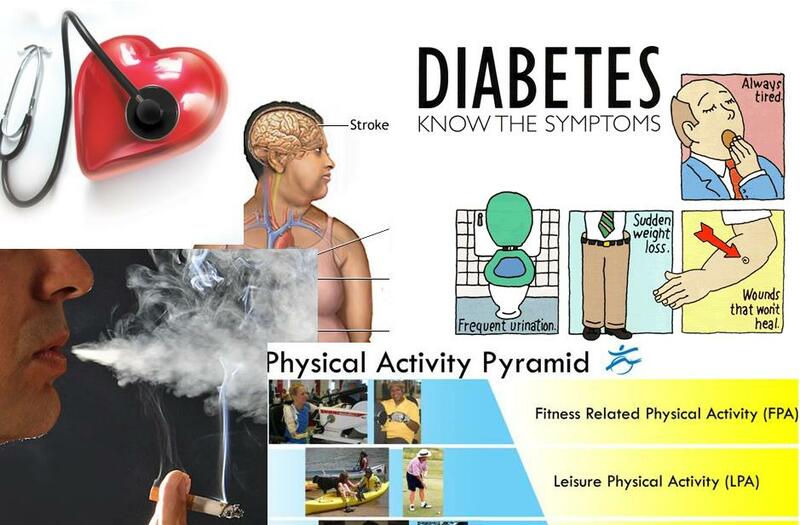 Healthy diet, regular physical activity, and not using tobacco products are the keys to prevention. 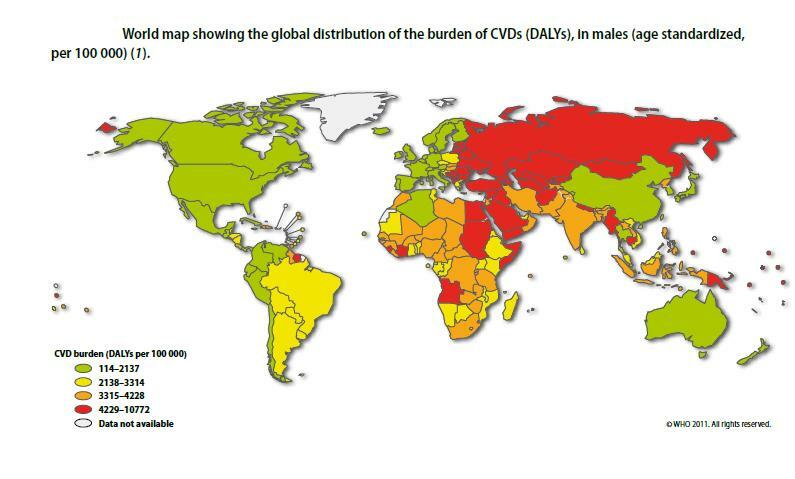 By 2030, almost 23.6 million people will die from CVDs. Risk factors for heart disease and stroke include raised blood pressure, cholesterol and glucose levels, smoking, inadequate intake of fruit and vegetables, overweight, obesity and physical inactivity. 70% of cardiac emergencies occur at home.So people should be educated about symptoms. For blood vessel disease there is no symptoms and heart attack/stroke are warnings. In addition patient might experience shortness of breath, nausea and vomiting. Keeps the Body Hydrated: One of the primary health benefits of coconut water is its ability to hydrate the body. Coconut water contains electrolytes that the body has keeping your body hydrated, especially during and after sporting events when sweating can throw off your water levels and electrolyte balance. Aids in the Weight Loss Process:coconut water is known for its low calorie content. For those who are on a low-fat diet, coconut water can easily be included into your diet plan as it is virtually fat free. Boosts the Immune System:It contains lauric acid, which is also found in mother’s milk. This lauric acid is antimicrobial, antibacterial, antifungal and antiprotozoal. Coconut water thus helps to strengthen the body’s immune system against a variety of viruses and other diseases. Finds Its Use in Blood Transfusion: Coconut water is almost identical to blood plasma and this makes it easy to be used for blood transfusion. In cases of emergency coconut water can be used as an intravenous hydration fluid instead of the standard IV fluid. Improves Circulation: Coconut water helps to carry nutrients and oxygen to the blood cells and has been shown to raise the metabolism. It also aids in the cleaning of the digestive tract. Poor circulation is improved by drinking coconut water regularly. Reduces Vomiting Tendencies:Coconut water is great at reducing vomiting. People who have typhoid, malaria, fevers or other ailments, show vomiting tendencies. Drinking coconut water settles the stomach. As such, coconut water is also a good thing to drink during a hangover. Aids in Digestion: Coconut water is composed of many naturally occurring bioactive enzymessuch as acid phosphatase, catalase, dehydrogenase, diastase, peroxidase and RNA polymerases. Altogether, these enzymes aid in digestion and metabolism. Acts as a Beneficial Drink for Cholera Affected Patients:Coconut water contains natural albumen, thus it is a perfect natural SOS drink for cholera affected patients. Treats Heartburn Problem:Coconut water is an efficient natural remedy for controlling the intensity of acid reflux. It is a good natural antidote for heartburn problem. Treats Urinary Infections: Coconut water helps in keeping check over urinary infections. It is very effective in treating kidney and urethral stones. Drinking coconut water regularly helps to break up kidney stones making them easier to push out. Acts as a Source of B Vitamins:Coconut water is a source of essential B vitamins that are needed from dietary sources for use. B vitamins provide energy to the body, decrease anxiety and depressive symptoms, help with muscle functions and increase the immune response. Treats Heatstroke: Coconut water has long been used for the treatment for heatstroke and dehydration. In tropical environments, coconut water is often used to treat dehydration. Its chemical structure makes it effective in treating these symptoms. Has Anti-Cancer Properties: Research studies suggest that cytokinins (e.g., kinetin and trans-zeatin) in coconut water showed significant anti-aging, anti-carcinogenic, and anti-thrombotic effects. Promotes Skin Health: Coconut water acts as a light moisturizer which also decreases excessive oil on the skin. This proves to be beneficial for smoothing out combination skin as well. Aloe vera also called Aloe is a plant originally from Africa. The long, green leaves contain aloe gel and a sticky yellow residue called latex.Its fleshy spear like leaves have a wide range of medicinal and cosmetic benefits. Most commonly know uses of Aloe vera are burn healing, wound healing, sunburn, radiation-induced skin reactions, genital herpes. It is also used for ulcers, diabetes, immune support, constipation. Detoxification:Aloe vera juice is a natural detoxifier, it is also filled with vitamins and minerals helping our body deal with the stresses of daily life. Digestive Disorders:It is useful in cases of heartburn, irritable bowel syndrome and ulcers. It soothes the esophagus (food pipe) and relives acid reflux. Oral Health:It is extremely helpful for mouth and gums. Pure juice helps in reversing receding gums. Diabetes:Half a spoon of the juice given for 14 weeks was shown to reduce blood sugar levels by 45 percent. Helps Bowel Movement:Aloe latex contains anthraquinone glycosidesaloin A and B which are potent laxatives. Weight Management:Aloe vera juice has been used for many years as a weight loss aid. Immune Support:It is full of antioxidants which counter free radicals to boost the immune system. 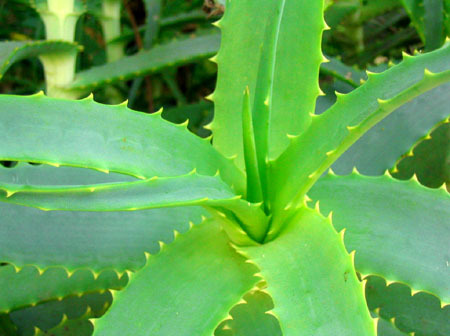 Burn Care:Aloe gel can heal and repair the skin after burns including sun burn. Dandruff: It helps in relieving itching and dandruff. Aloe vera gel ca be used as a pre-treatment before shampooing. I have Aloe vera plant at home and recently started applying it on skin and hair.It can be grown in small pots.Grow and use rather than buying its products.